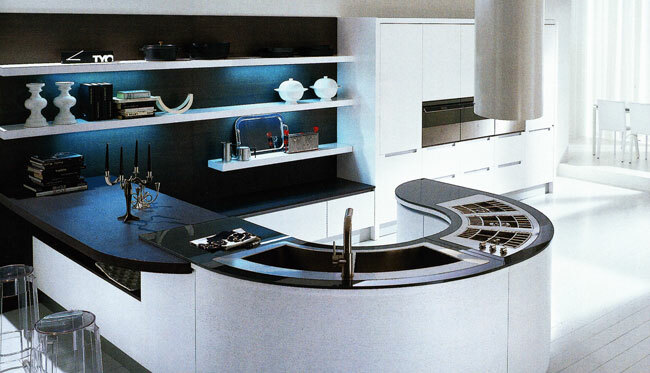 The modern kitchen contains all of the functionality and none of the unnecessary. 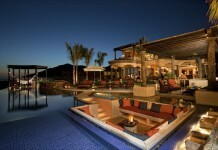 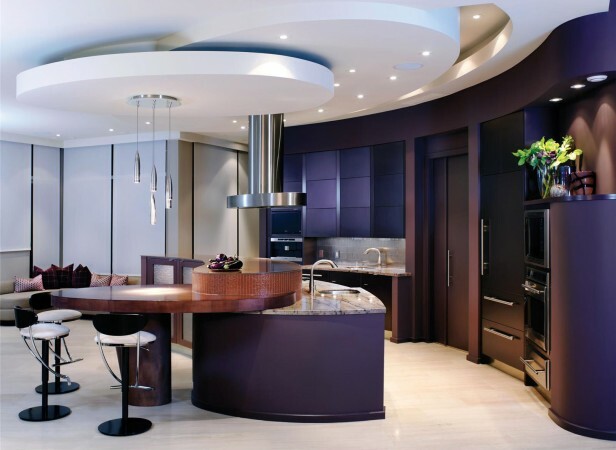 It is sleek and streamlined to integrate seamlessly into an interior. 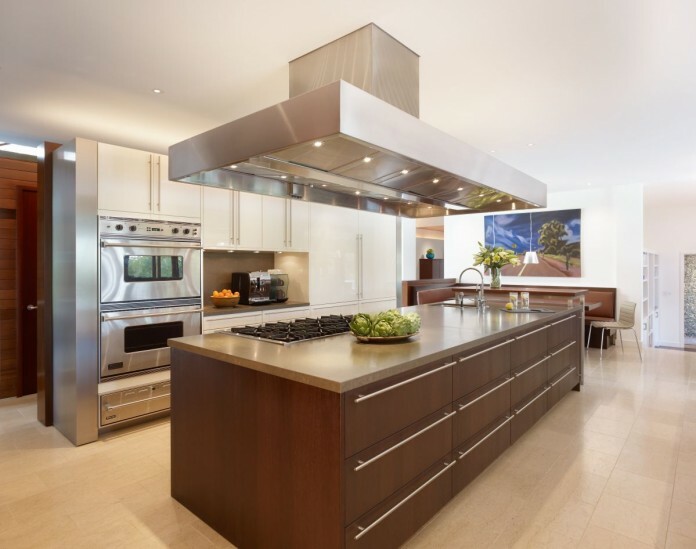 There are three major reasons to love the modern kitchen. 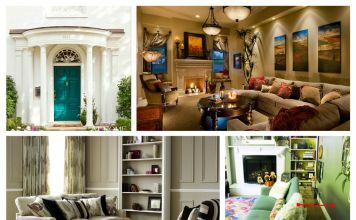 Let’s see if you agree. The modern kitchen allows for streamlined storage that contains appliances, creating a room that blends seamlessly into its surroundings. 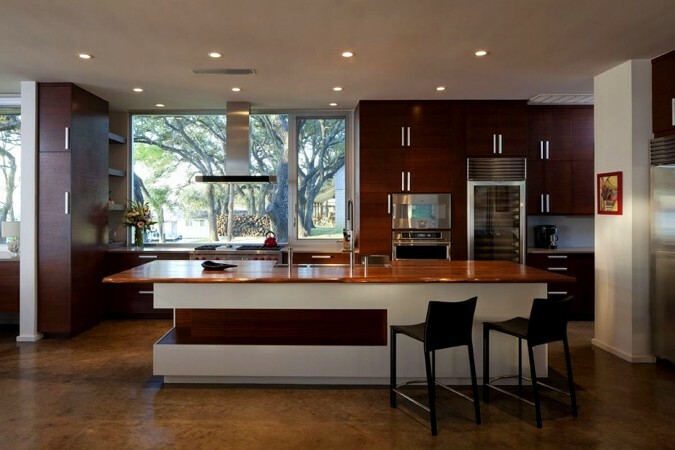 Sleek countertops, low-profile cabinetry and unobtrusive appliances allow for design flow. 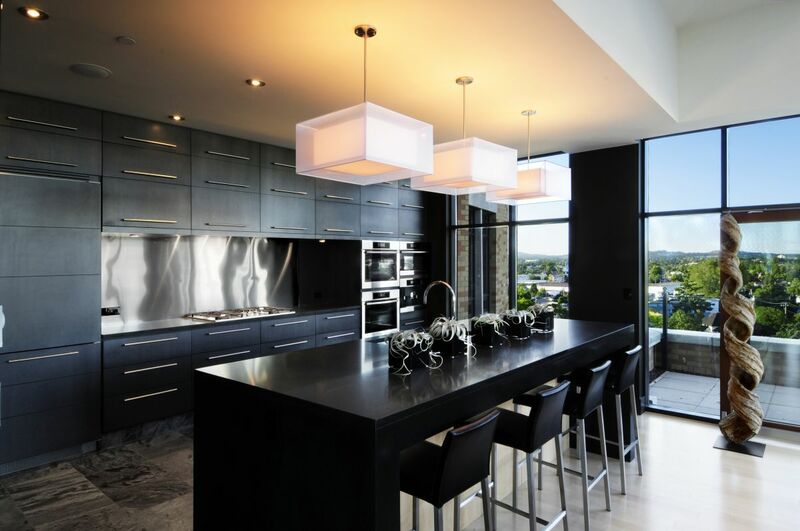 Since modern design relies more on quality than quantity, materials used in the modern kitchen are selected with longevity, functionality and high style in mind. 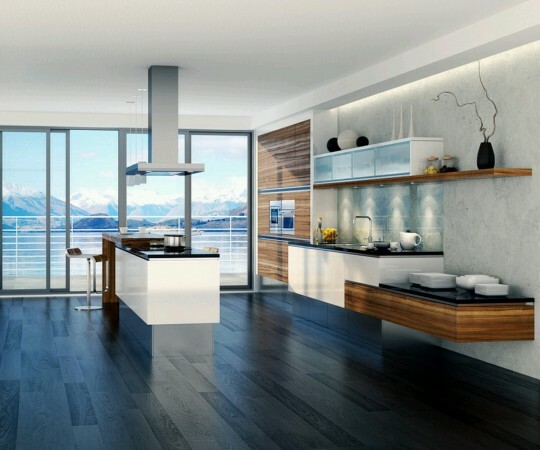 You may see marble, quartz or granite countertops, high-end stainless appliances, complex range hoods and one-of-a-kind cabinetry in bamboo and exotic woods. 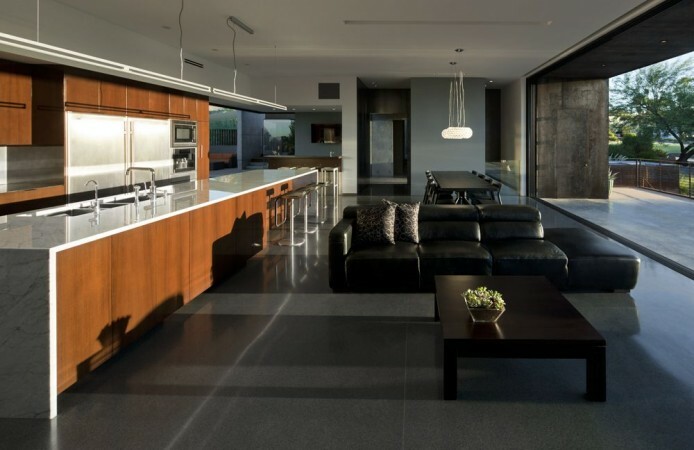 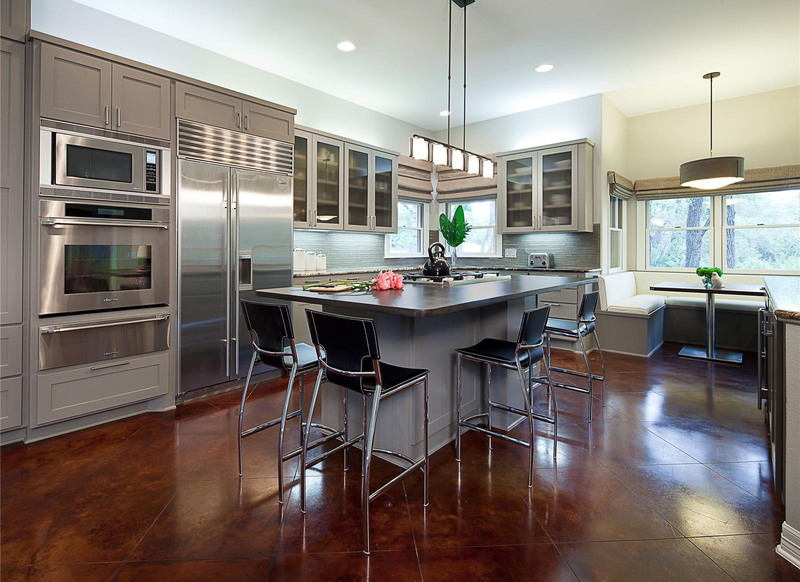 Flooring blends with the overall interior and is of stained concrete, hardwood or stone tiles. 3. 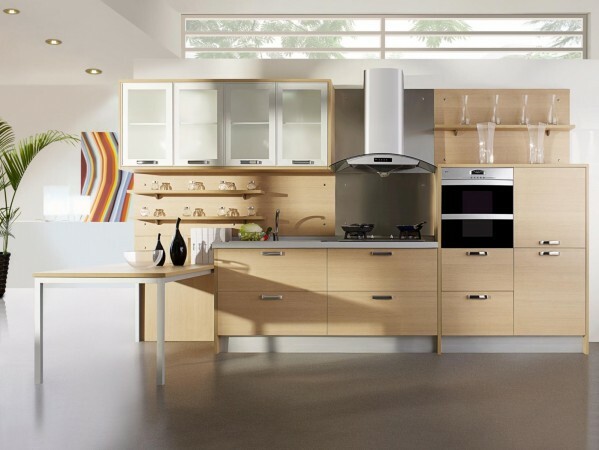 Integrates seamlessly into the home with lots of style. 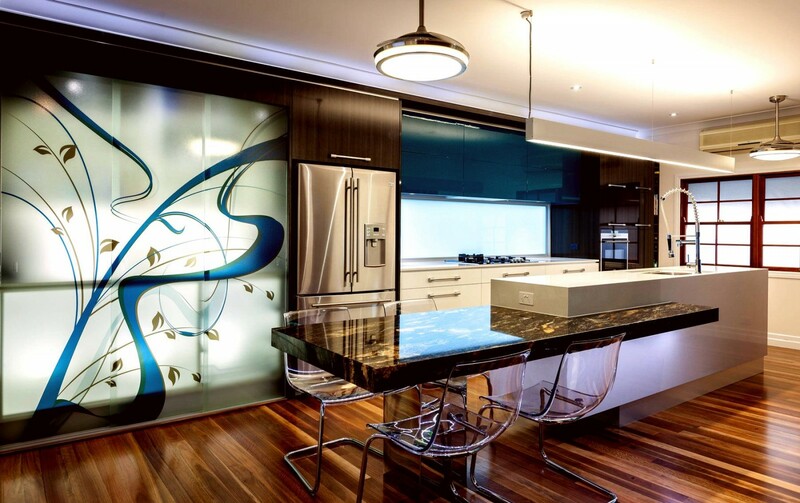 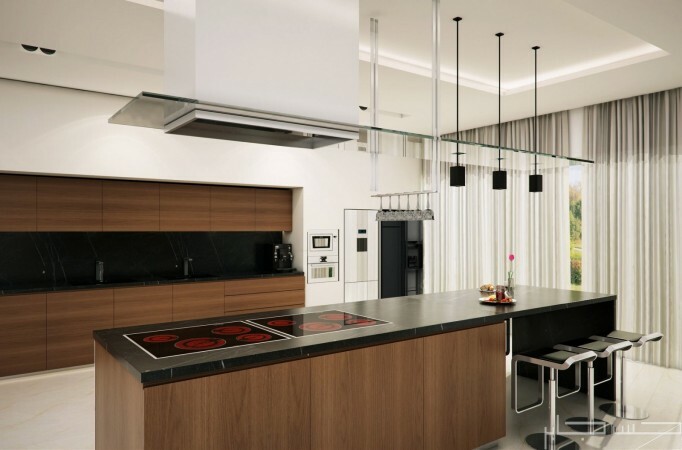 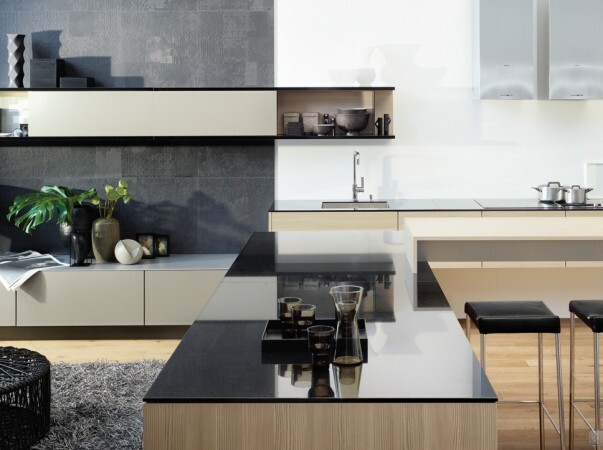 The modern kitchen is designed so that it flows seamlessly into adjacent rooms, allowing for an open feel. 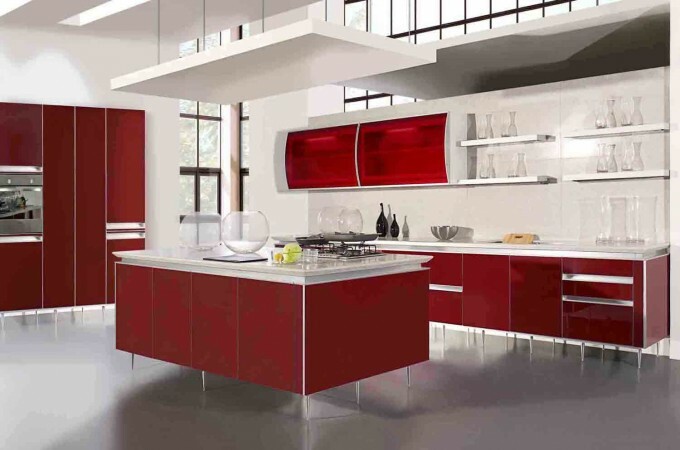 Stylistic design elements are added and extra attention is given to architectural form. 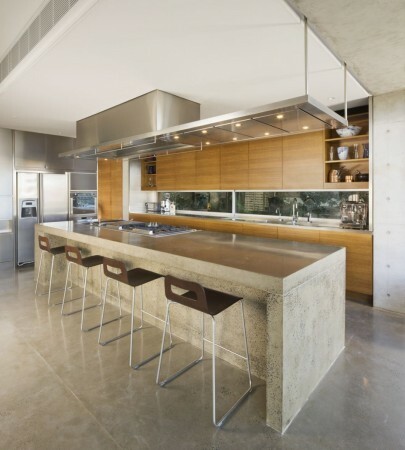 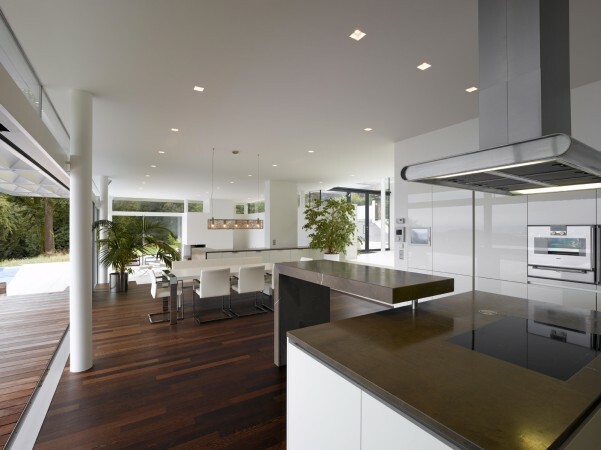 The overall aesthetic flows into the surrounding interior so that the kitchen appears universal to the home’s design. 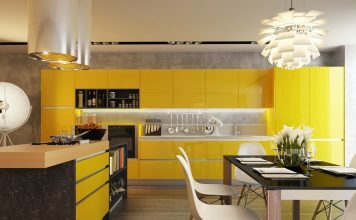 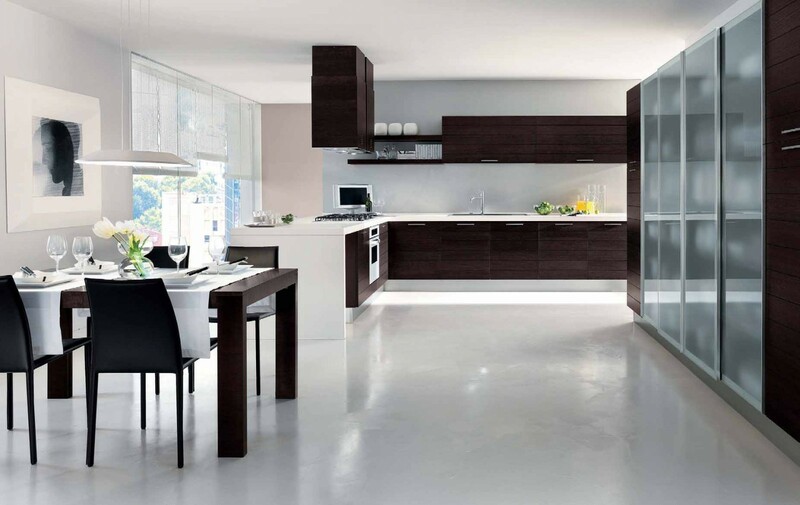 The modern kitchen is sleek, efficient and stylish. 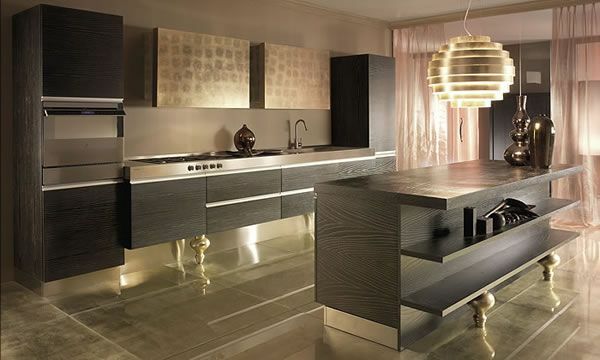 It blends into the home with unobtrusive elegance and balance. 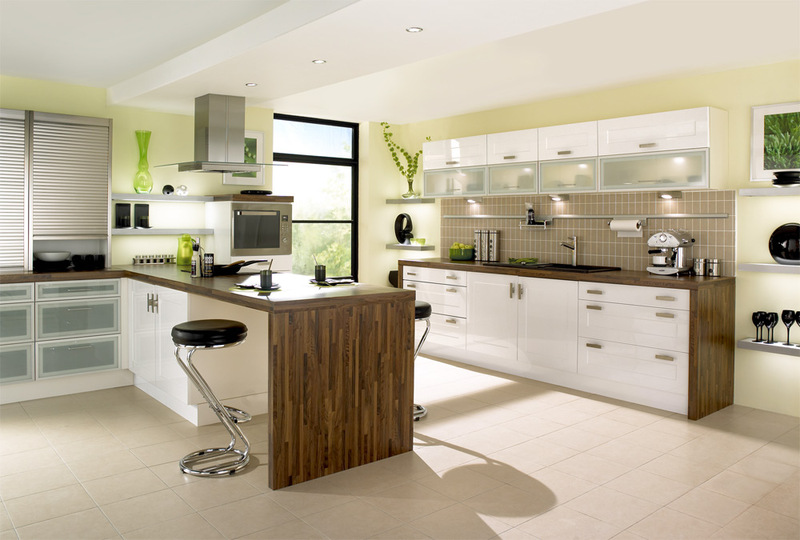 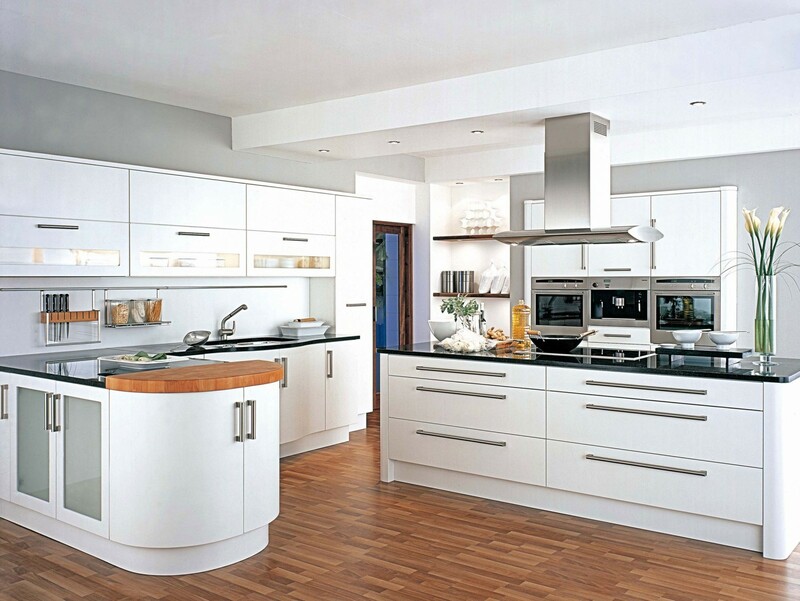 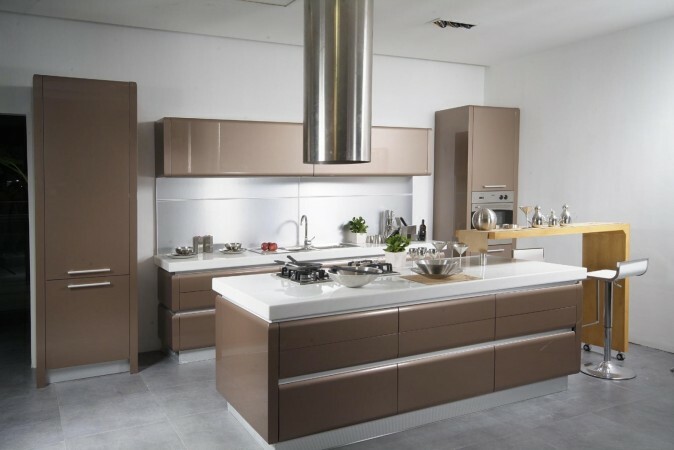 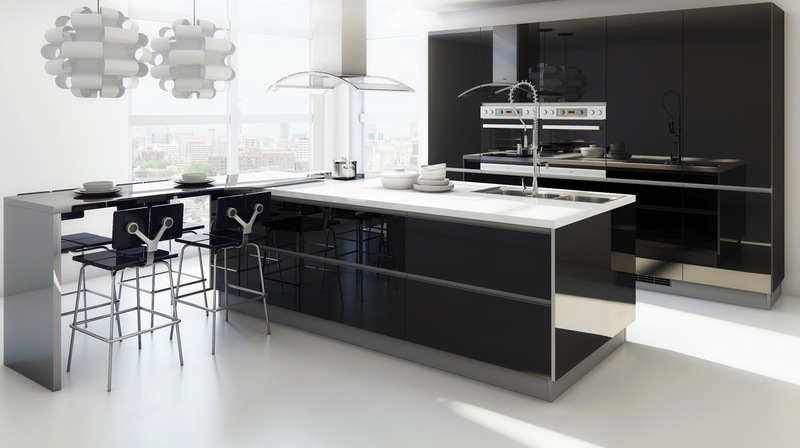 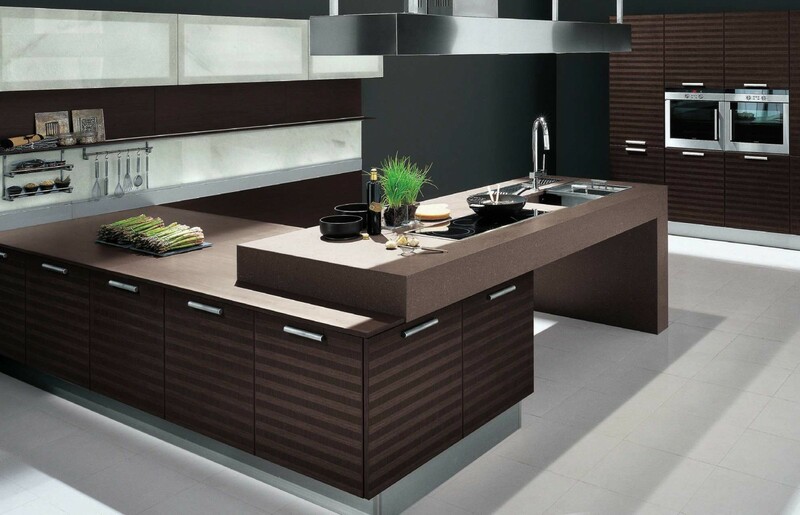 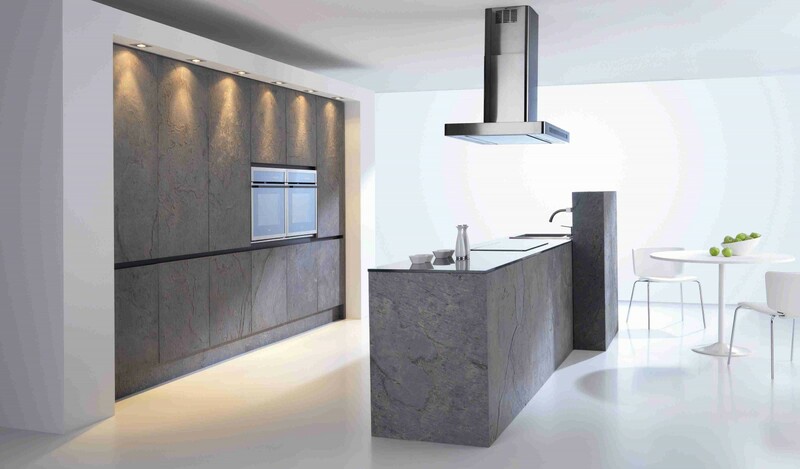 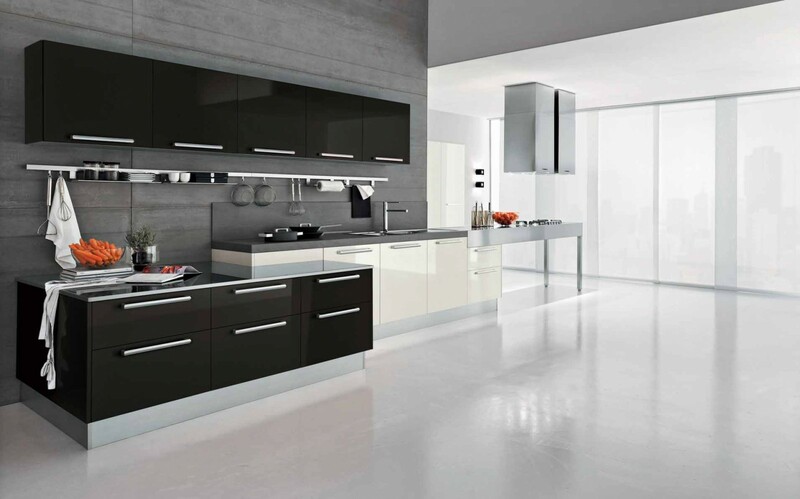 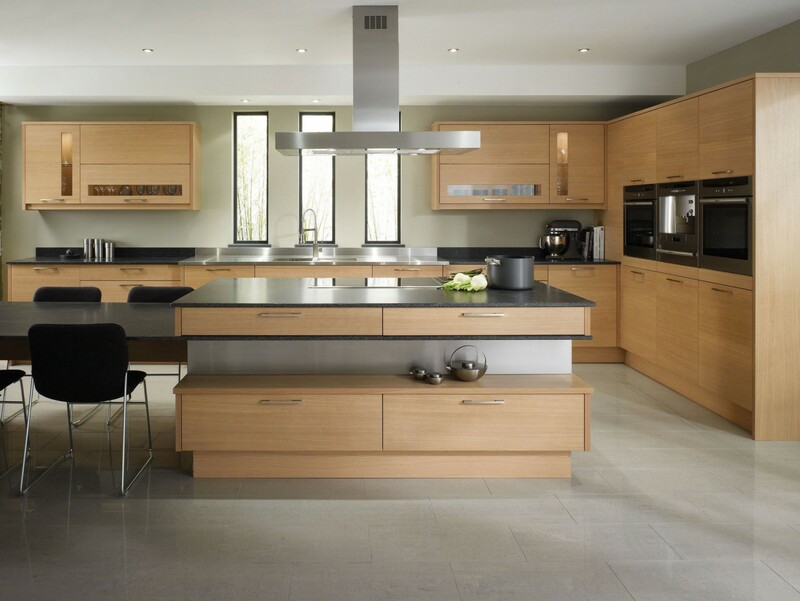 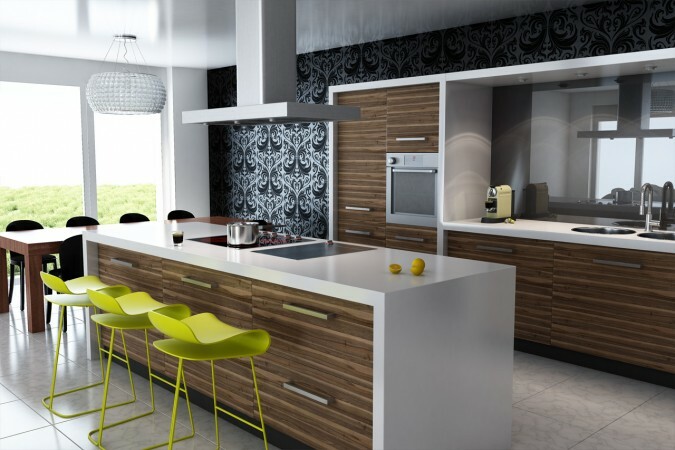 There are many reasons to love the modern kitchen but the three main reasons are its simplicity, quality and style.